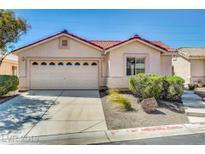 Below you can view all the homes for sale in the Centennial Azure subdivision located in North Las Vegas Nevada. Listings in Centennial Azure are updated daily from data we receive from the Las Vegas multiple listing service. To learn more about any of these homes or to receive custom notifications when a new property is listed for sale in Centennial Azure, give us a call at 702-323-5963. All appliances & Soft Water system included! 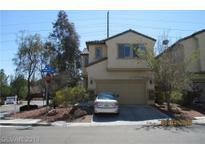 MLS#2087363. Platinum R.E. Professionals. Patio area between house and casita. Beautiful floors MLS#2087430. Signature Real Estate Group. Beautiful four bedroom home, corner lot on cul-de-sac featuring plantation shutters, travertine flooring, covered patio, master suite large walk in closet, huge fourth bedroom with two walking closets, custom ceiling fans,Storage cabinetry in garage, Playground in subdivision close to house. MLS#2079168. Nationwide Realty LLC. Family room located at the back of the home . Community park with playground. MLS#2065792. Home Realty Center.